Instructor User Guide Sign-UpHow do I modify Sign-Up tool permissions? Zoom: Select the permissions you want to edit (e.g. site). 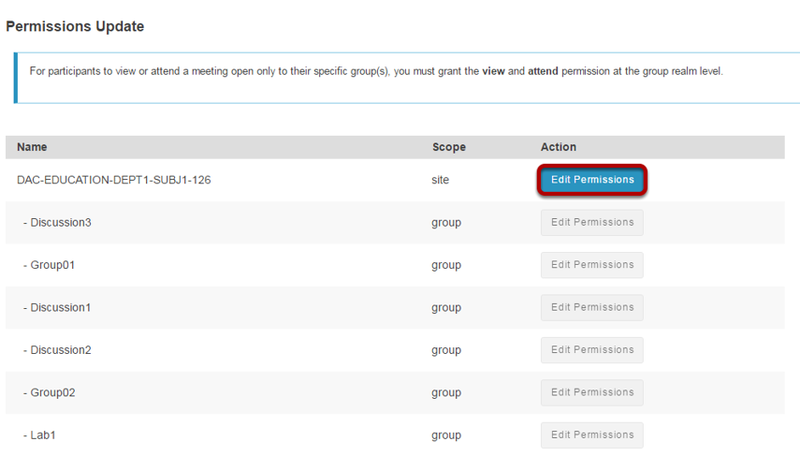 Zoom: Modify the permissions for the roles listed. Prev: How do I add meetings to the site Calendar? Next: What is the Site Info tool?